Big thanks to Kath for allowing me to join this SAL. 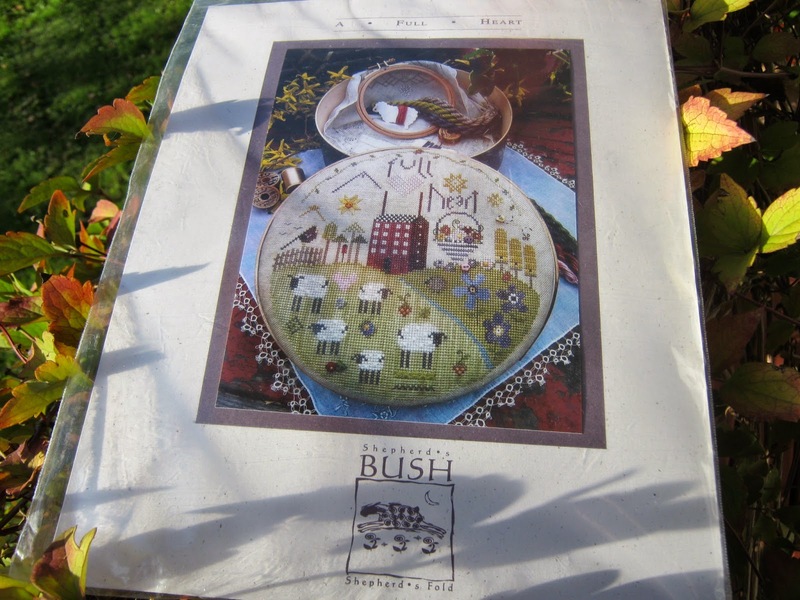 I have just discovered this delightful piece and have ordered it today. I can't wait for it to arrive to get started. About me, my name is Gail and I'm a 40ish payroll manager from Macquarie Fields which is about 1/2 hour south west of Sydney Australia. 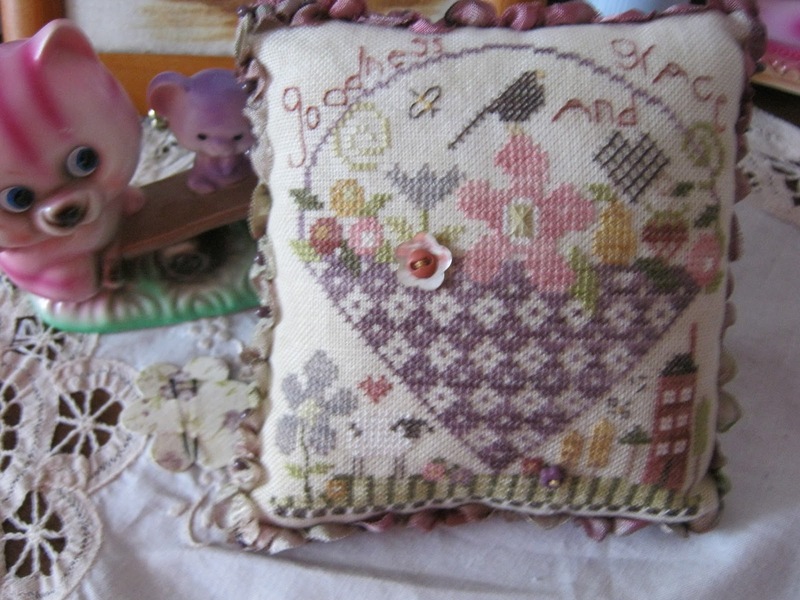 I love to do cross stitch, hardanger and quilting. 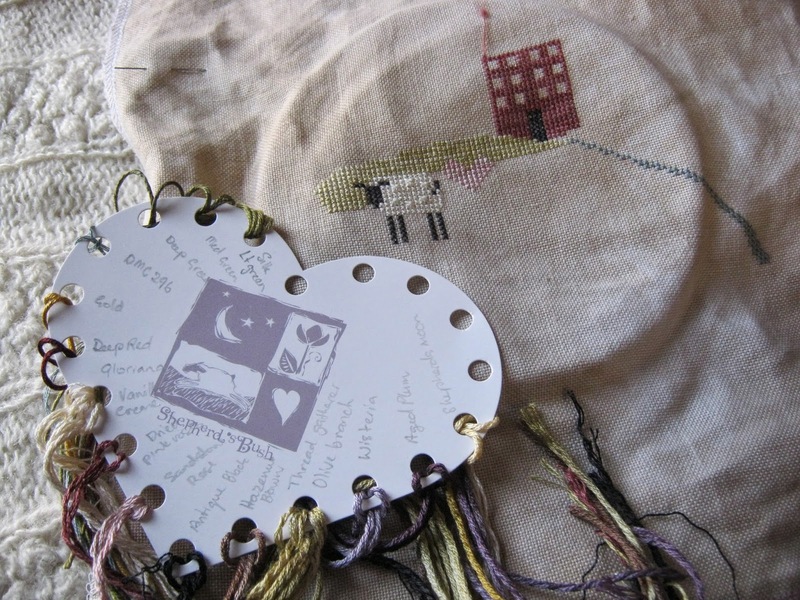 I know Katrina from her monthly SAL for needlerolls that she ran through her blog several years ago and look forward to getting to know you all as we take this fun stitching adventure together. 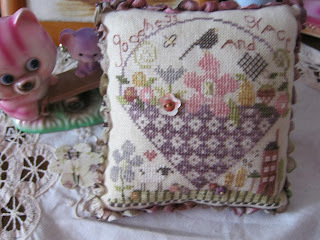 with threads,fabric and cute buttons yet to show. Last Tuesday after Easter we received our patterns. 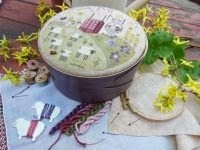 I went to kaths for stitching time but forgot my camera! 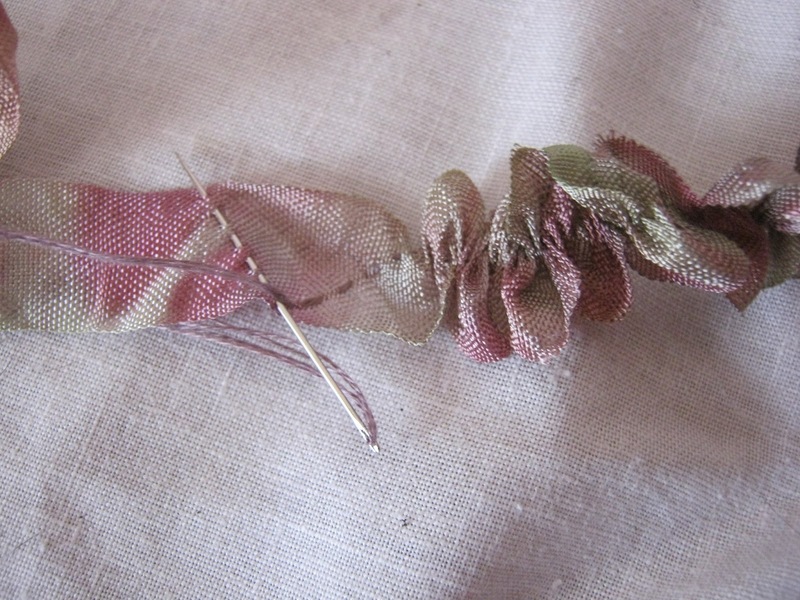 Three bundles of threads sorted and attached to thread heart holder. Fabric turned for best effect. 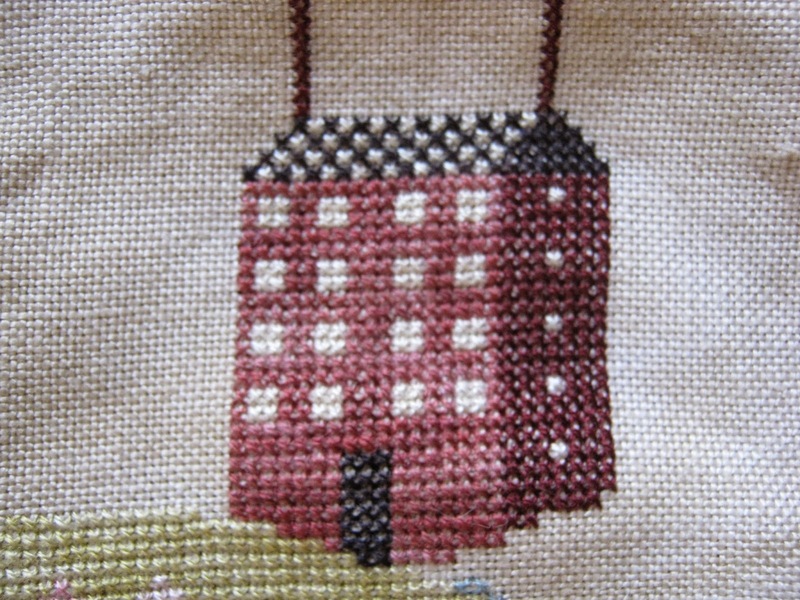 I started at the centre and down a few threads to start the house. 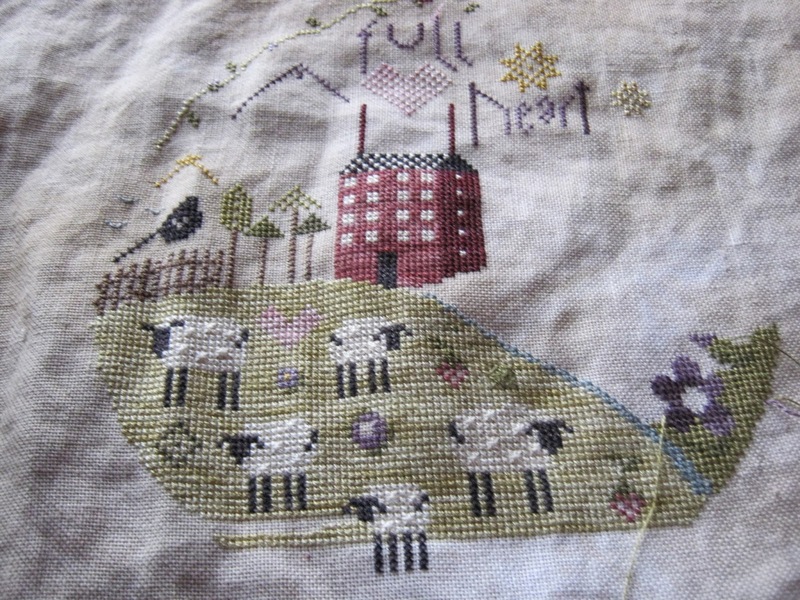 the path,a heart and sheep. I am so enjoying this. A few days on and this is where I am at. 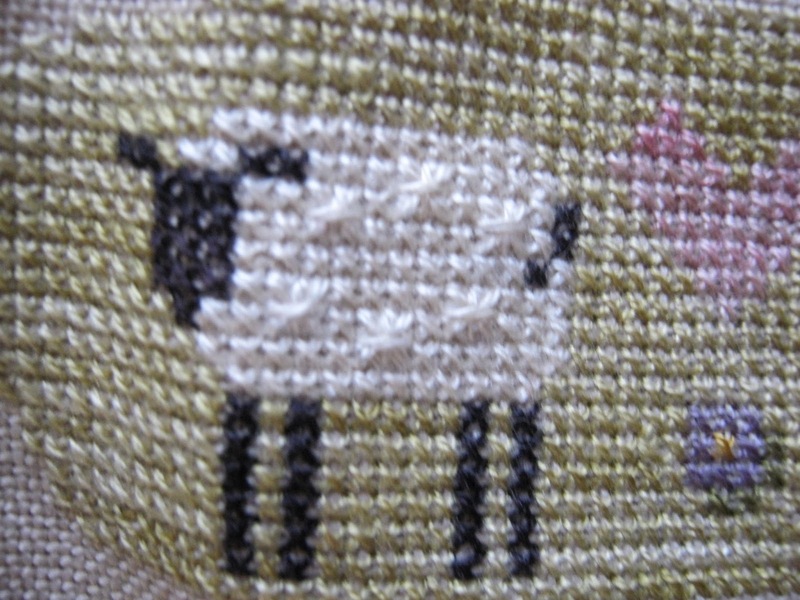 A close up of the first sheep stitched. here is my finished house. 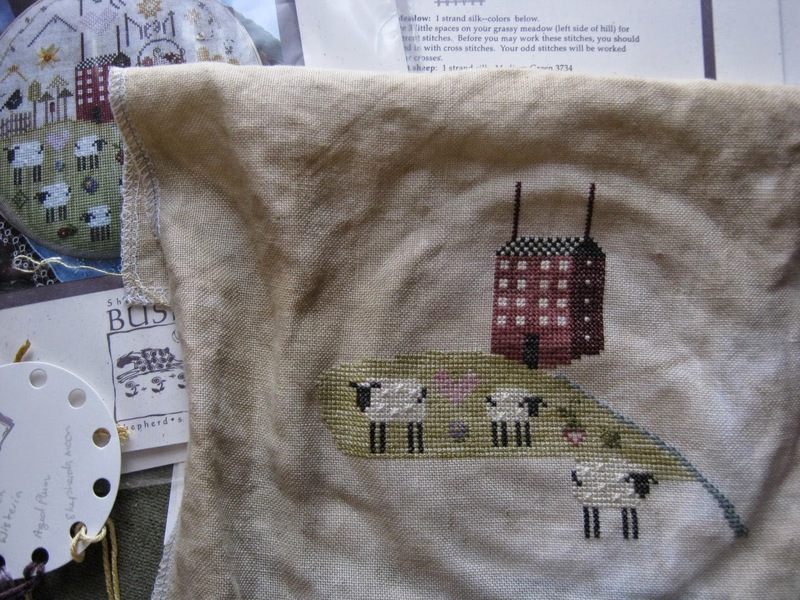 Well I am off to stitch some more. Shepherds Bush Fold 2014 - First Pics!! Hot off the press first photos of the upcoming Shepherds Bush 2014 Fold series. Cant wait for mine to arrive!! If you would like to join the SAL send me an email and I will send you and invitation to join.